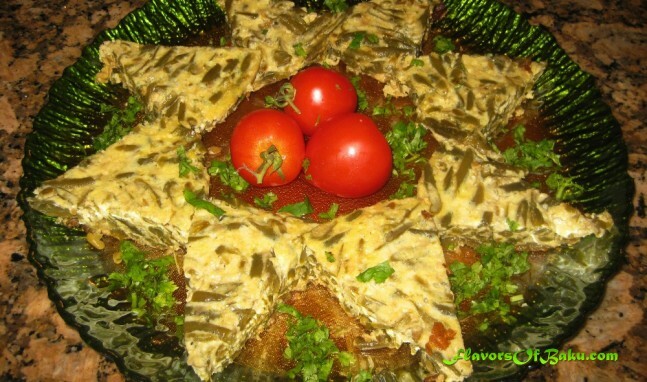 LOBYA CHIGIRTMASI is a very popular vegetarian summer dish in Azerbaijan made from string beans and eggs. “Lobya” mean “beans” in Azerbaijani language, and “Chigirtma” is included in the name of any Azerbaijani dish that incorporates eggs. 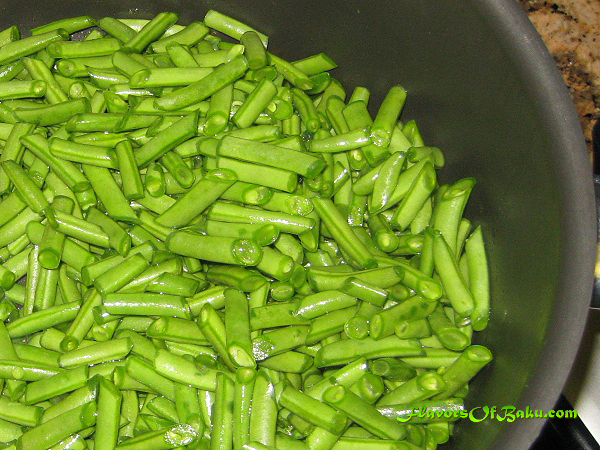 Wash the fresh string beans (also called “green beans”) thoroughly in cool water. Then, break off the ends (the top and tail), and cut into even pieces approximately 1” (2 cm) long. Peel and chop the onion. 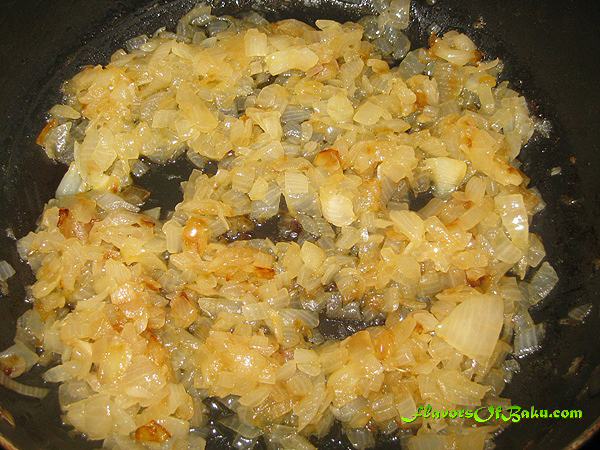 Pour the clarified butter or olive oil into a saucepan, toss in the chopped onion, and fry until it becomes soft and lightly golden-brown. 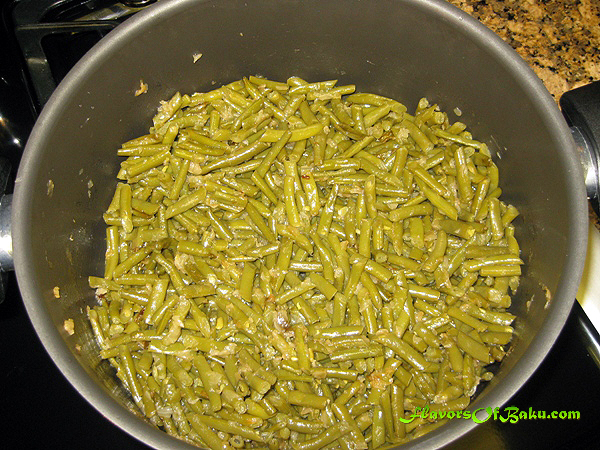 Add the chopped beans and mix well. 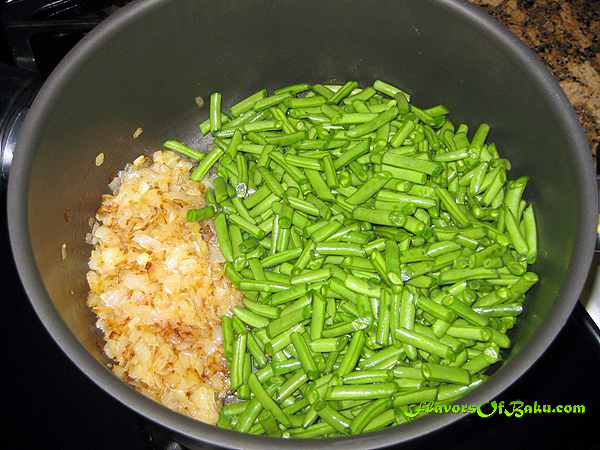 Add hot water just enough to cover the beans halfway, and simmer over low heat with the lid on. 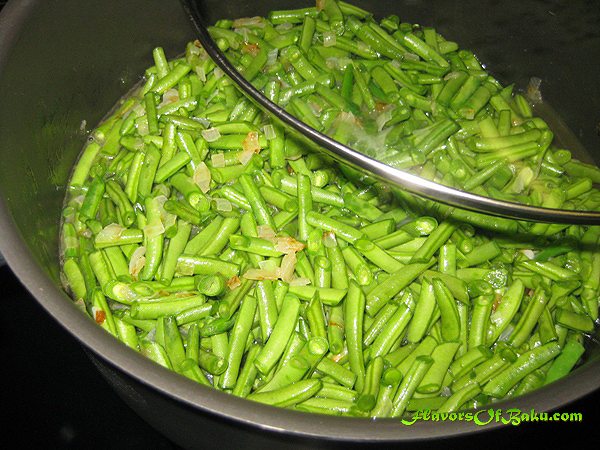 Simmer until the beans are soft and fully cooked. Then add salt and pepper to taste and mix. 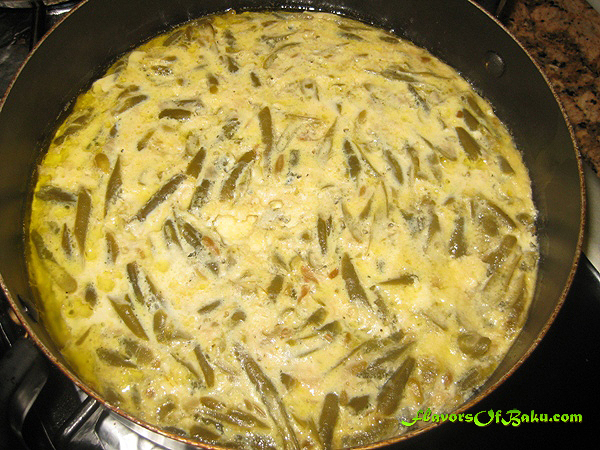 Whisk the eggs, pour them over the beans, and mix well together. Add some more butter if desired. Cover the saucepan with a lid and cook over low heat until the eggs cooked all the way through and have set. 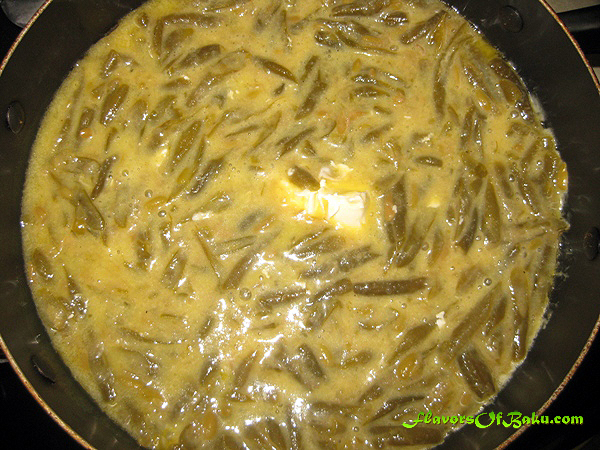 Then, turn off the heat and leave the Lobya Chigirtmasi in the pan for a minute to absorb the butter. 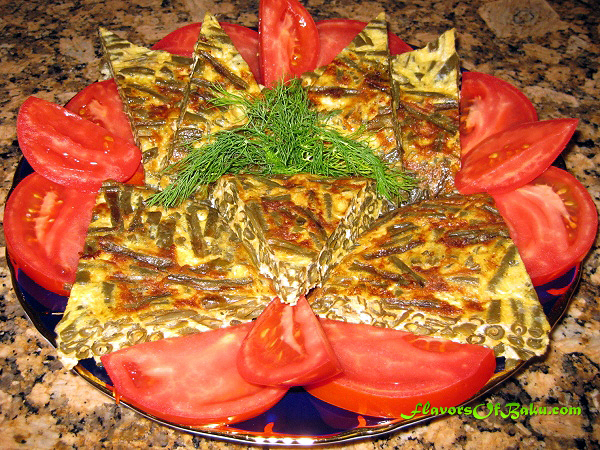 Cut Lobya Chigirtmasi into portion-sized pieces and serve with tomato or yogurt-garlic sauce.